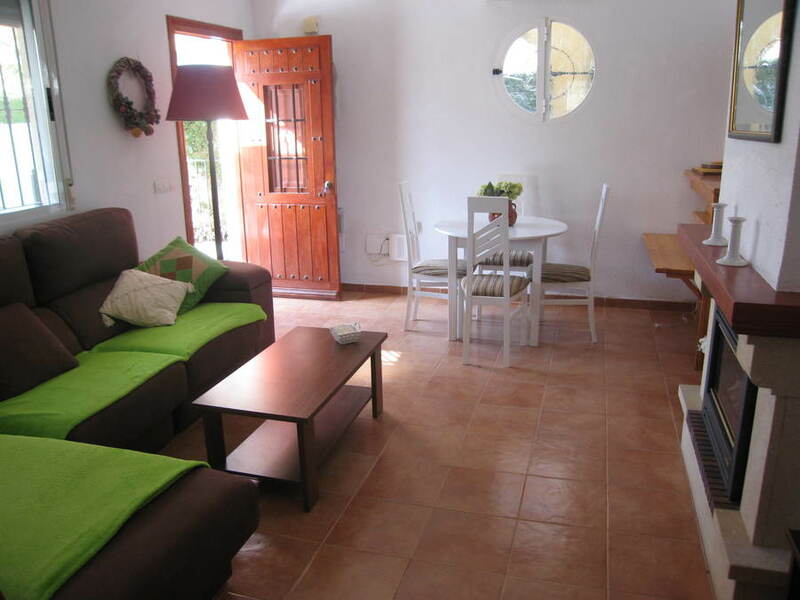 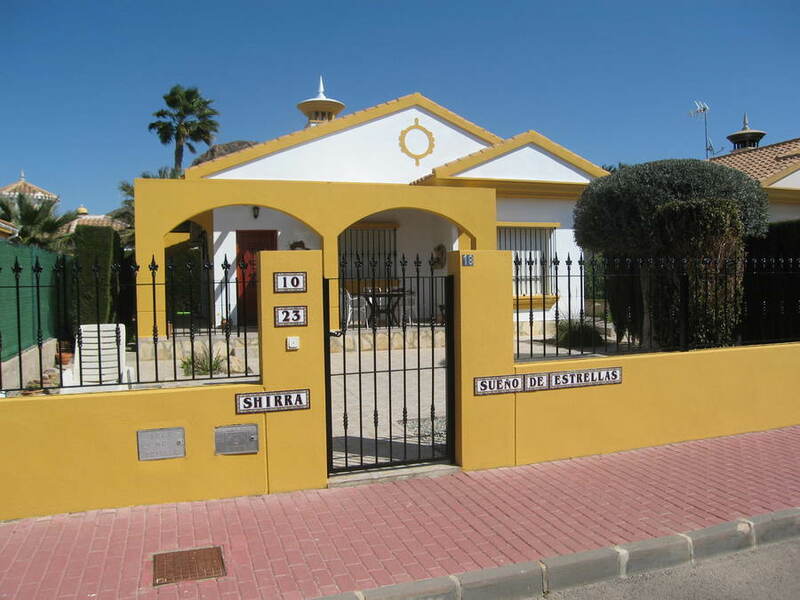 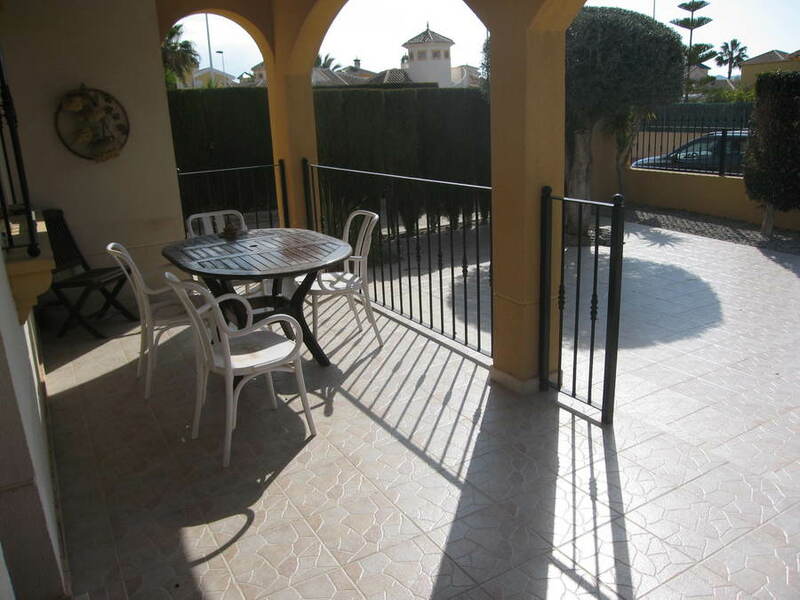 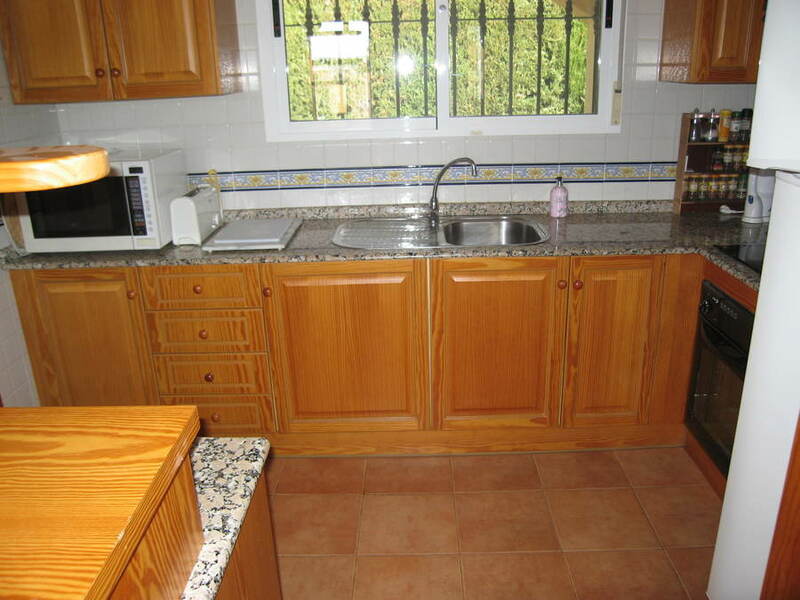 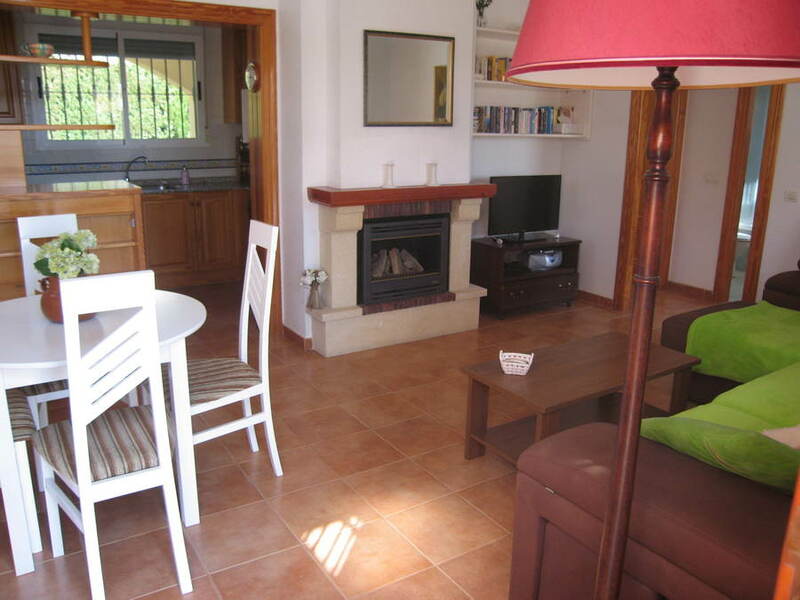 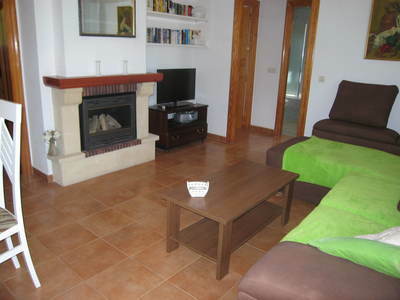 **ABSOLUTE BARGAIN** Detached 2 bedrooms, 1 bathroom fully furnished villa situated in Mazarron Country Club, Murcia. The open plan lounge/dining area features a fireplace, hot and cold air-con unit, ceiling fan, wreckers to all windows and fly-screens throughout the property. 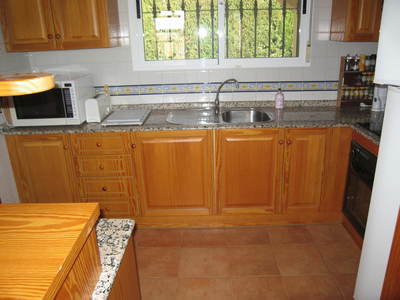 The kitchen, with wooden units and granite worktops, comes with all domestic electrical appliances and water filters. Both bedrooms have built-in wardrobes and ceiling fans and the bathroom has a bath with overhead shower. 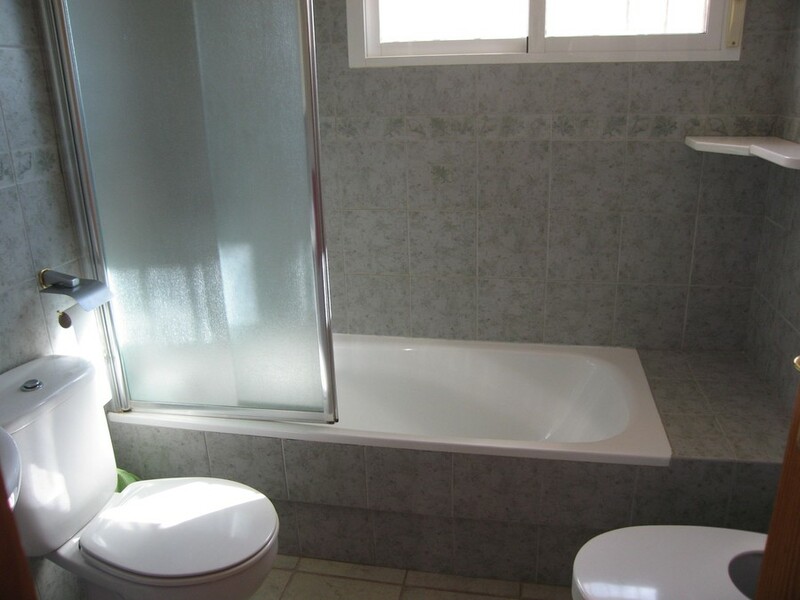 The mature garden has outside utility area which houses the boiler and washing machine, sink and further storage space. 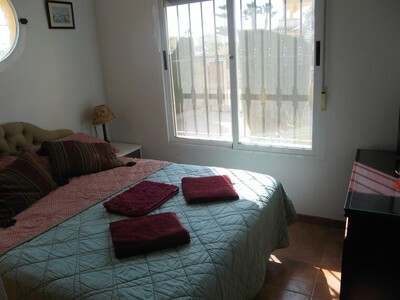 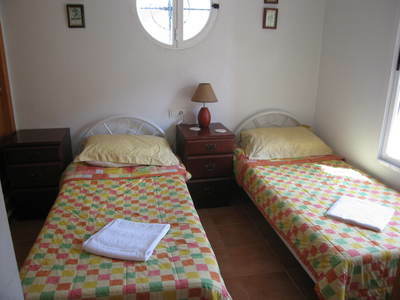 The property has a small solarium which affords views to the mountains. The villa has just been freshly painted externally. 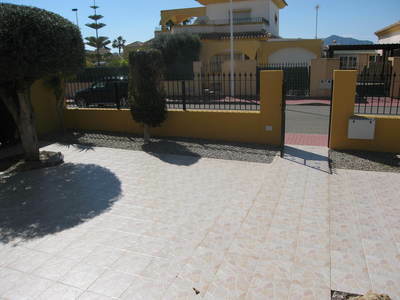 With a build area of 63 sqm and sitting on a plot of 300 sqm there is ample room to add a swimming pool. 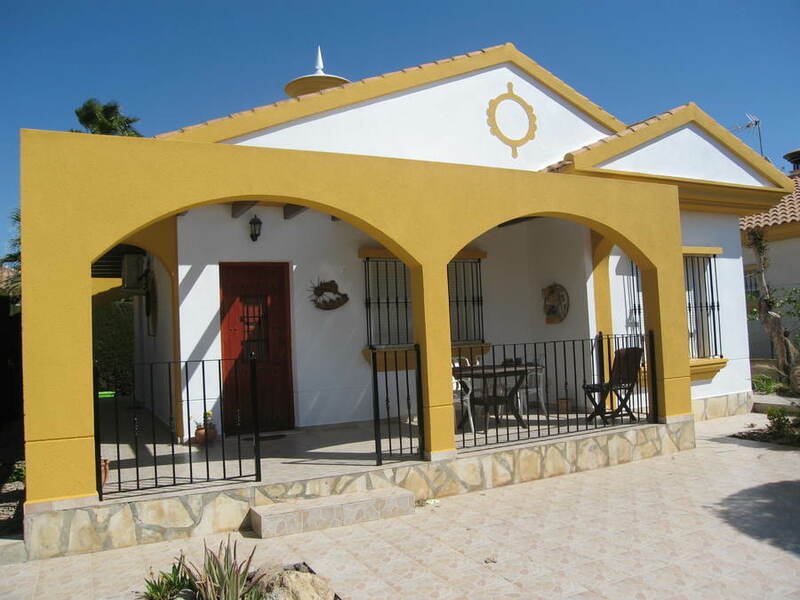 The property is located within a few minutes walk to the restaurant/bar, tennis courts and large community swimming pool. The nearest golf course is just 5 minutes away and the famous Jack Nicklaus course a further 10 minutes. 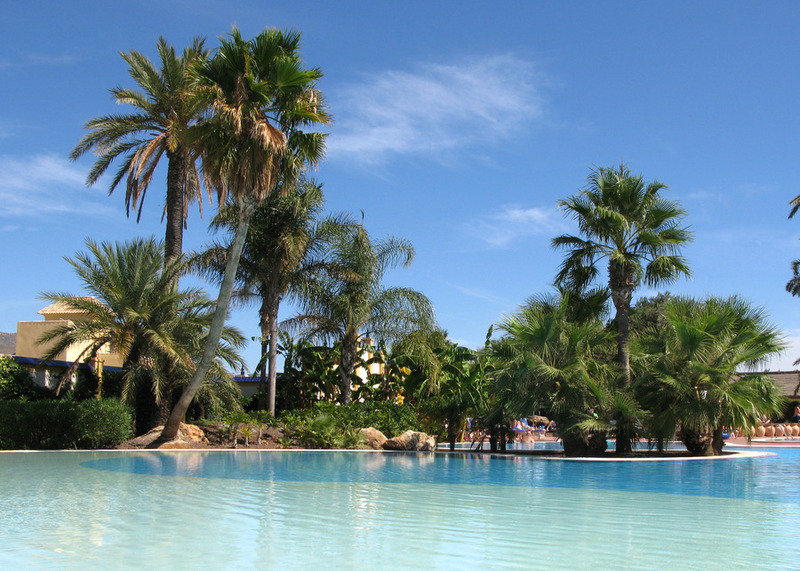 Alicante airport 70 minutes and Murcia airport 45 minutes. The Country Club is located just 10 minutes drive from a selection of blue flag beaches and only 5 minutes from Mazarron town and the nearest golf course. Being a private community there is a monthly fee payable to cover the upkeep of communal areas including gardening, security, street lighting, rubbish removal etc. 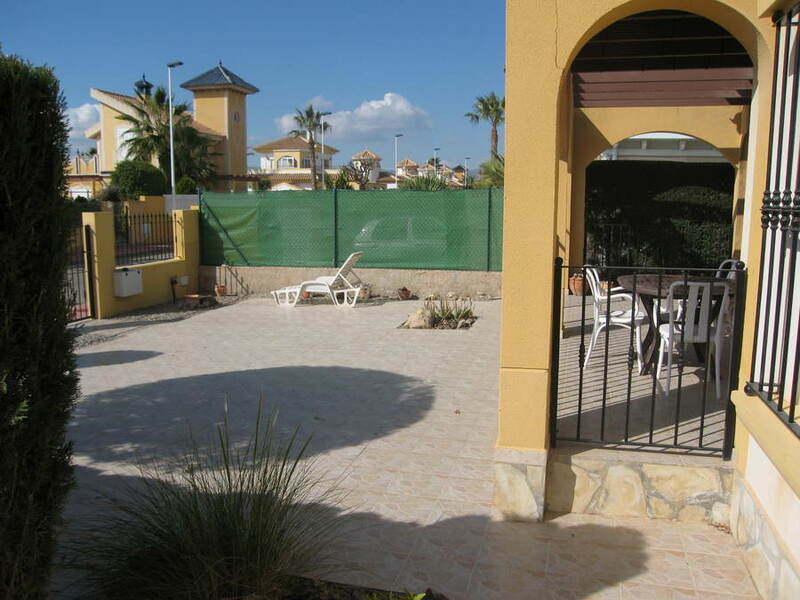 This residential community has a bar/restaurant, community swimming pool, function room, tennis courts, petanca lanes and has social committees who organise various functions including coach trips to places of interest.